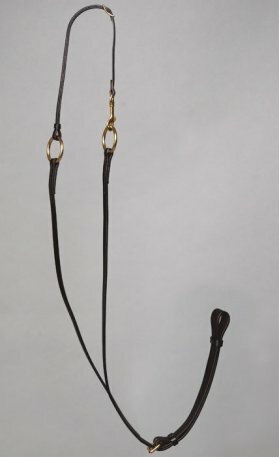 Made here at Fennell's of heavy domestic dark brown bridle leather with dressed edges, darkened by oiling to match our English bridlework. 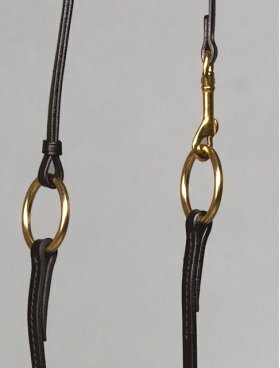 Solid brass hardware with large 1-3/4" rings to allow any rein easy movement. Includes adjustable 1/2" shoulder strap.